State firm DRDO plans to modify the C 295 military transport aircraft into a multi mission maritime aircraft to meet the requirement of Navy and Coast guards medium maritime patrol aircraft. The Navy plans to add new generation maritime patrol aircraft to boost the surveillance capabilities in Indian EEZ replacing the older Il 38 SD. DRDO plans to integrate the existing maritime surveillance radar onboard the upcoming C 295 Aircraft. Which TATA gets license from Air Bus to produce them in India. DRDO already successfully integrated the Airborne AESA radar onboard the Brazilian Embraer. Which is going to be inducted into the air force before the end of this year. 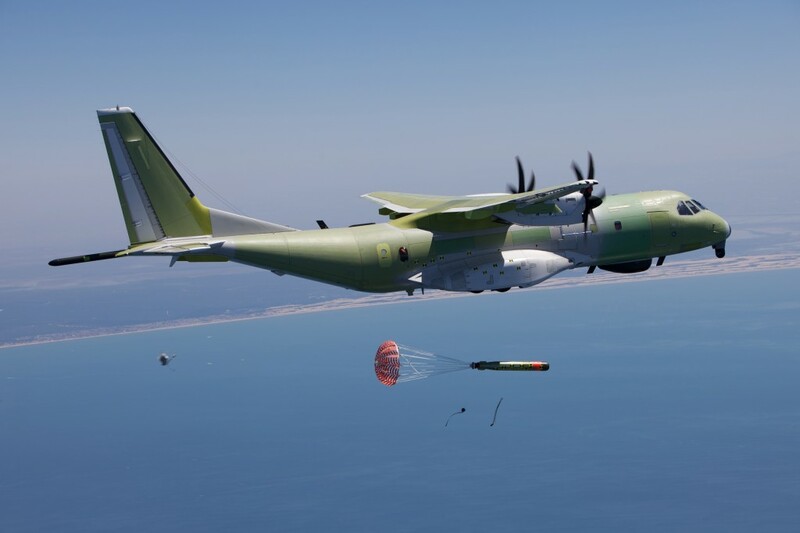 Navy already floated an RFI which focusing medium range patrol aircraft, where Lockheed's SC 130 and Swedish Swordfish responded. However state firm DRDO offers the state of art home made maritime surveillance radar. whose ground version already operational in various naval stations across India and friendly nations. The primary maritime surveillance can be achieved with the state of art airborne maritime radar, which can work along with the integrated coastal surveillance system for better surveillance and real time data transmission with friendly units. The Radar can perform search and track mission, who keep an eye on the targeted vessel. Also Classifies it's model and operator, identifying whether it's friendly or hostile, and provide communication support to friendlies in network denied zones. With the support of satcom link, the C 295 can communicate with the base operating center and receive real time information from either base or friendly ships. The SATCOM link connected with existing navy's communication satellite INSAT. Not only for Navy, Coast guard also keen to procure modern maritime patrol aircraft. with the same above capability. However it's highly unlikely Coast guard may receive the C 295 based MMMA. while Navy's primary requirement include underwater detection system for anti submarine warfare, which the C 295 MMMA can't. As per Indian orders, Air force plans to induct more than 56 C 295. where initial 18 comes directly from Air bus plant, while all future numbers will be produced in India under TATA's plant. Air force already planning to induct a gunship version to provide close air support to the ground troops by adding 30mm cannon and missile launching racks. C 295 recently spotted in HAL air port Bangalore. Suggesting that DRDO and HAL team exploring the options to build modified C 295 to suits Air force and Coast Guard requirements. There is a Maritime patrol aircraft available in the market based on the C 295,Navy's like Chile and Portugal already operating them. and it does have anti submarine capabilities too. The maritime variant of C 295 aka Persuader also had four outer hard points to launch anti shipping missiles.